Maxis is harnessing the power of mobile gaming to bring family and friends closer this Lunar New Year. In collaboration with live trivia game show app Dooit Live and Ensemble Worldwide, the telco is hosting 16 game sessions through the app, featuring Lunar New Year-themed questions that Malaysians can relate to. Participants who answer the questions correctly within 10 seconds can win real prize money of up to RM188,000. The Maxis Dooit Live game runs from 4 to 19 February 2019. To launch the game, the telco rolled out a short film titled “Maxis Presents: Clash of Clans”, which is filled with clues and easter eggs on how to play and win cash. 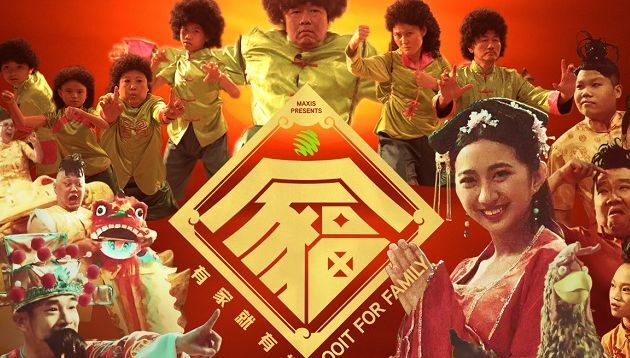 Another aspect to this campaign, according to Ensemble Worldwide ECD Chan Woei Hern, was to engage the Chinese audience and educate them on Chinese culture and traditions, as the insights were that many Malaysian Chinese were losing touch with these roots. Maxis head of brand and partnerships, Tai Kam Leong, said it’s upon the telco to use every opportunity to turn technology from a distraction to a unifier. “After all, the Lunar New Year is about reunions, family bonds and merry-making together. True prosperity is indeed time spent with your family,” he added. Ensemble’s Chan said both Maxis and the agency have always wanted to find ways in which technology and the internet can make lives more meaningful. More importantly, both parties want Malaysians to be part of the storytelling. “Dooit has been one of the most disruptive apps of late, and it was a perfect way to gamify the generation gap and make reunions more fun and meaningful,” Chan said. The research also reveals the rise of the ethical consumer: 58% say fairtrade certification is an important factor when buying cho..